Lowline extension design progress | Sydney House. When I last posted we had stalled in our design process. Single storey or two storey? Could the budget handle it? Are we mad? And would we be doing the existing house justice? All difficult questions but we arrived at these dilemmas because the first iteration of the design did not account for a viable garage. Although we were hopeful of converting the existing carport structure into a new master bedroom integrated to the house with a proper walkway/hallway connection…parking the cars at the front of the property instead was going to be nigh on impossible. Why? 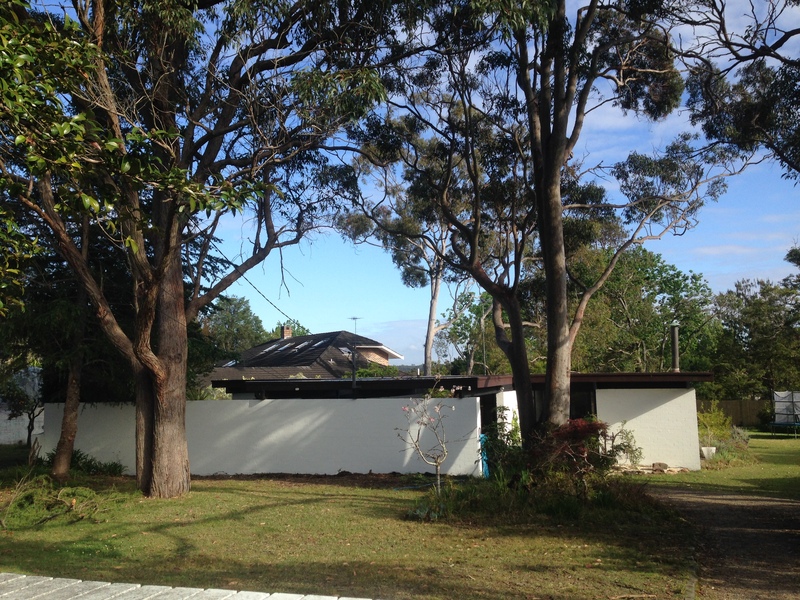 Two precious trees – one Iron Bark and one Angophora were spaced in such a way that a garage structure simply would not fit in the vicinity, and it was unlikely to be an acceptable proposal to our local council. And we don’t want to remove them. The tall trees on our lot are truly beautiful, even if they are expensive to trim and maintain! Basically, if we couldn’t change the carport position, it needed to remain as the space for a good sized garage. So, back to the drawing board. We needed to come up with a different space for the master bedroom without building up our entire block and without losing land that we might want to retain for the rear outdoor lifestyle we wanted to create. Our architect continued sketching. We went back and forth, then we just stopped and thought about all the options in front of us. After a fair bit of analysis-paralysis, my husband Alex and I had a new burst of inspiration: the black timber boxes of Europe and Japan. 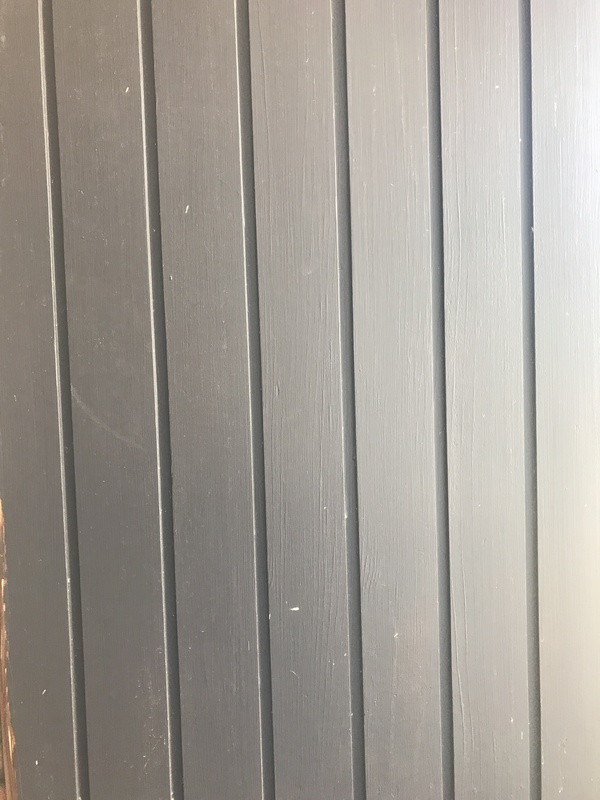 Our home already has references to Japan, as many Sydney School post-and beam-houses did: Black oregon beams punctuate the lines and perform the all important structural support. The white painted brick is contrasted with timber windows and vertical timber panelling at the entrance. At the entrance to our home, cedar cladding is vertical feature. Originally painted Mission Brown along with fascias as were the details on many Sydney School houses. 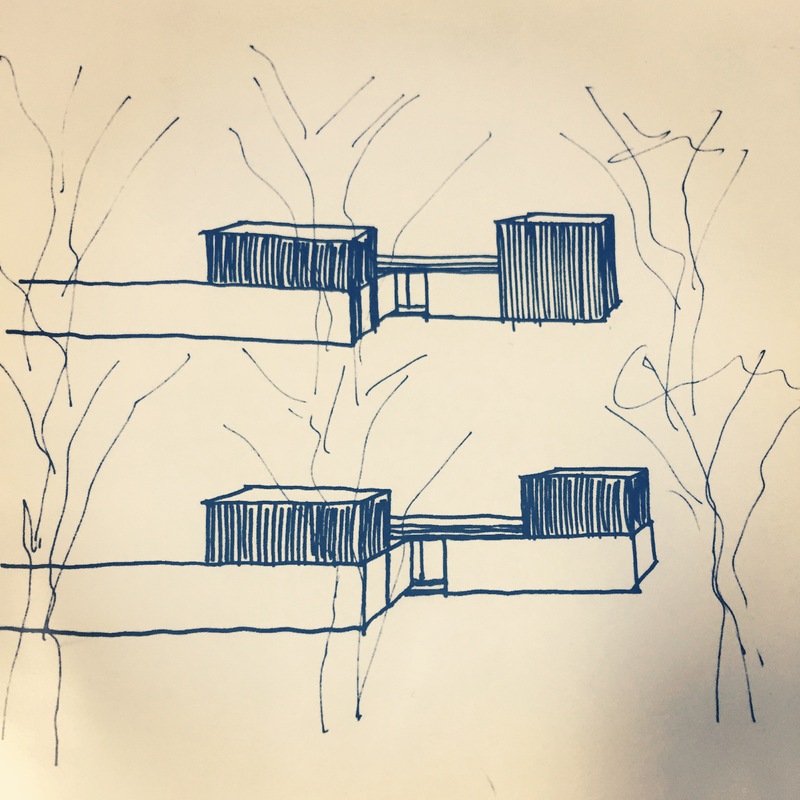 Alex did a brief sketch or two, focussing mainly on the external form, and conceptualising how we might increase space against the existing, single storey Lowline form (in the sketch, the existing house are the white areas). We sent it to Sam our architect. One of the biggest challenges for us in this process has been in balancing the original with the new but with very few examples to go by. So many P&S homes are bulldozed and others are poorly extended, whited-out with paint over once-beautiful exposed timber beams. They’re reduced to plain-ness in an effort to renew or spruce them up. We get it. Renovating with any sort of loyalty to an original is expensive, often stressful and a long process. A lot of families simply won’t and can’t do it and we’ve wondered about this aspect more than a few times ourselves. We don’t have endless funds to make it perfect. The great thing about this burst of inspiration is it gave our architect the chance to work with more perceived space and get the floor plan singing. The black boxes in the drawing represent 2 wings which would not be possible in a single storey format. To the left, the box is shown on top of the white brick carport (to become a garage) thus giving a viable and private space to the master bedroom. And the box on the right is shown above the new extended living area which had already been conceived in the single-storey concept by Sam. Sam highlighted to us that 2nd storey this would give us an important family room or library space which is important once you have teenagers – a place where they can hang out. Or where we parents can escape to an Xbox-free zone! All in all, it means we would be gaining a much needed bedroom but instead of it being in the carport…it’s now over the garage. We’ll still be having a fairly modest sized home rather than a mansion. Sam set to work on the details and we finally submitted our DA to council – yay! The other major plus would be that we get to leave the original house as-is. The new 2nd storeys are actually built on the new areas only, thus avoiding potential water proofing issues on the existing roof and disruption to current living in the house. In the meantime, we decided to keep the property in good shape even while waiting on our DA. The best thing about our architect’s solution is that we will be able to live in the house while the extension is being built, and there’s a chance we will be able to do a lot of it ourselves – as the tight budget requires it! So, we want to make sure the place doesn’t feel like its falling apart around us. We’ve been working on the fencing and areas of the garden that aren’t impacted by the build, so that when the build is done – we will have some mature plants rather than a barren yard as is often the case with renovations. Great advice from our architect too 🙂 And we’ve repainted the front of the property as the brick had been stained from shrubs and climbing ivy which we had to remove. It’s also revealed the long line of the Lowline house which we love. With shrubs tidied up the house’s long lines can be seen. Pity about the rear neighbour’s roof rising above..a view we have always disliked. Our property had almost no boundary fences to the rear and once side, which meant we’d get regular surprise visits from local Wallabies. Sadly, in order to have a pool and to build safety, proper fencing had to be built. 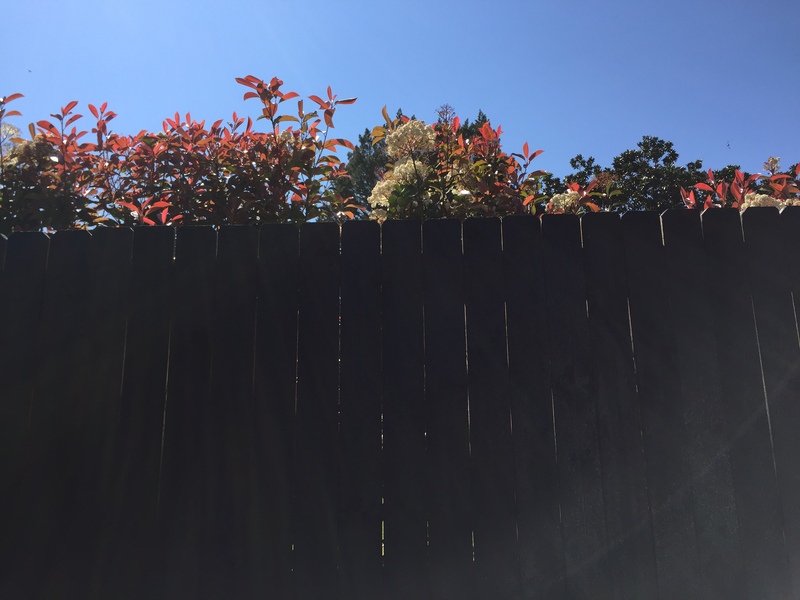 We went for plain fence palings, painted in Dulux Night Sky.